EBANX delivers a complete solution for your business to process more and easily in Latin America. new lines of code per year. 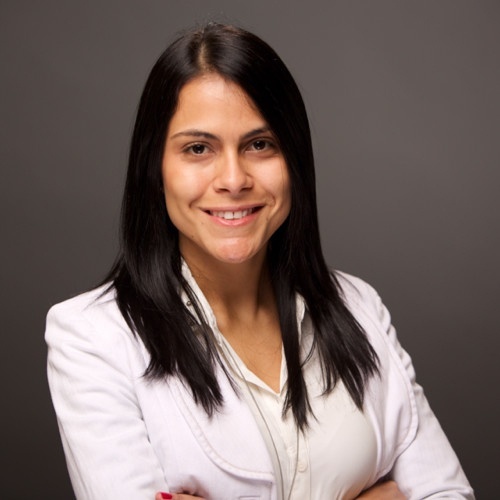 "Our partnership with EBANX has been fundamental to enable access to our Nanodegree programs to Brazilian students. We know that only 30% of credit cards issued in Brazil are enabled to do international transactions, so when we've opened our operation in the country, accept local payments was the first action we've taken to boost growth in the market." Our global platform works in an unstoppable pace to guarantee the maximum availability to your business and a high-level of approval transactions. More than 100 local payment methods, that goes from cards to voucher payments and online alternative methods. 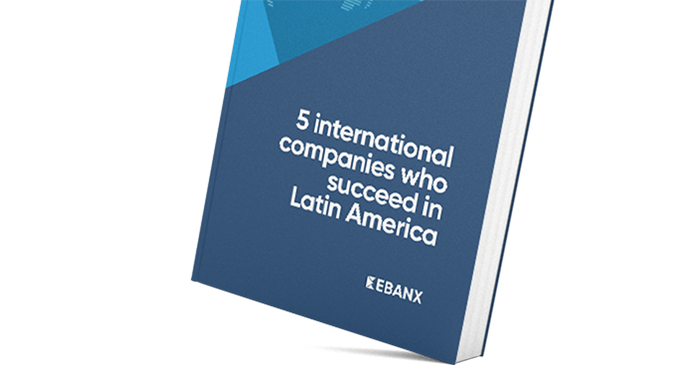 EBANX works with outstanding partners inside Latin America, from banks to financial institutions. We provide the greatest possible fault tolerance and stability in the region. Our proprietary algorithm switch transactions dynamically to ensure the highest success rates. We achieve the maximum redundancy for our customers. 99.998% of availability to your business. We care about keeping your business and your customer information as safe as possible. ConceptuallyBrazil Data Protection Law, GDPR, PSD2. PhysicallyMultiple perimeters, world-class audits, and constant improvement. We deliver more than plain tech. We deliver full service. Hundreds of merchants already integrate with EBANX. Our range of integration options attends any type of business and structure. Merchants have full control over the look and feel of the payment process and a complete support during all integration, through tutorial guides and an expert team of engineers. Build to facilitate the creation and manipulation of tokens for mobile apps, and developed for Android and IOS platforms. Extensions and plugins for the most popular shopping cart software. Sell with EBANX without having to implement our API. With Google Pay, your customers can pay with the cards and information already saved in their Google Accounts. 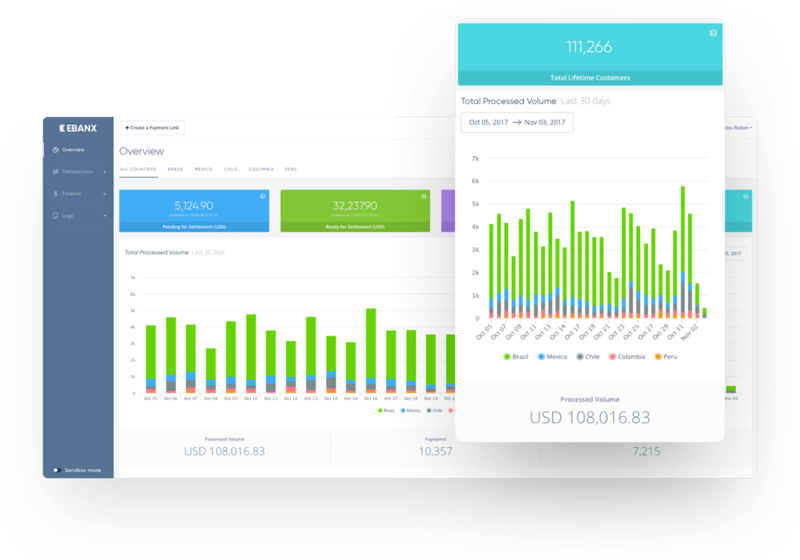 Using on-demand payments, you can manually generate payment links on your Dashboard and send it to your customers. EBANX makes easier for you to break borders and obstacles, turning the management of your payments as seamless as possible. Control any tiny detail and each payment processed. Access customized reports and insights. Receive data made specifically for your business. Have access to all payments KPIs. Free your customer from the complexities of traditional cross-border payments. We remove the complexity of international payments from your business so you can focus on delivering a great experience for your customers. Build and maintain the technology and payments infrastructure. Navigate the compliance and risk landscape for you. Negotiate and nurture banking relationships inside Latin America. Fit your business into the preferred payment methods. Offer a personalized and local payment experience to customers. Be secure and rely on the highest payment technology. Increase the number of transactions and control each one of them.